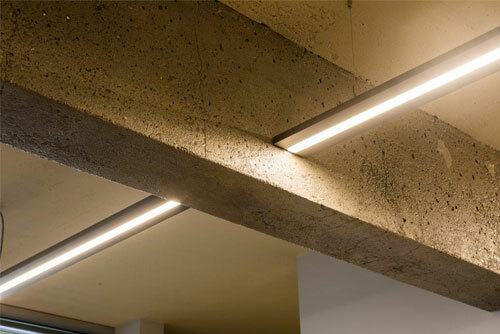 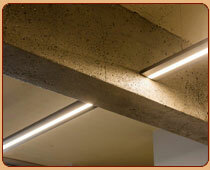 Suspended Task lighting intercepting the waxed raw concrete beams throughout seamlessly appear to create the illusion that the lighting is travelling through the structural beams. 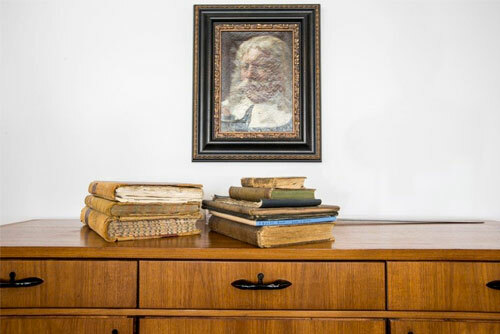 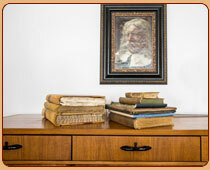 Detail of some old leger books casually placed on a Danish inspired sideboard housing glassware and crockery and refreshments for board room meetings compliment an Old Danish oil painting hanging above of a senior historical figure giving a sense of continuity to the company image and profile. 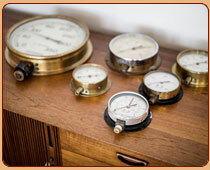 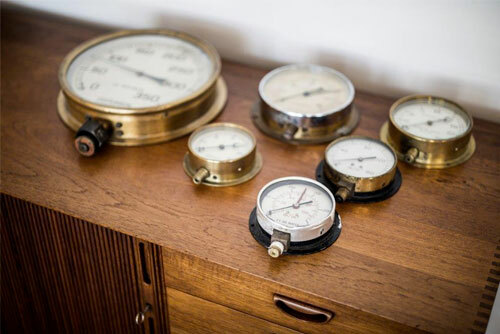 Detail of some assorted vintage pressure gauges placed on a vintage Danish credenza in the senior executive office as a subtle design statement adds as a reminder to the company principals of their constant pressure requirements in fulfilling their daily tasks. 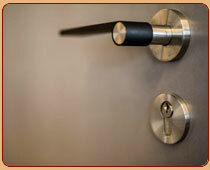 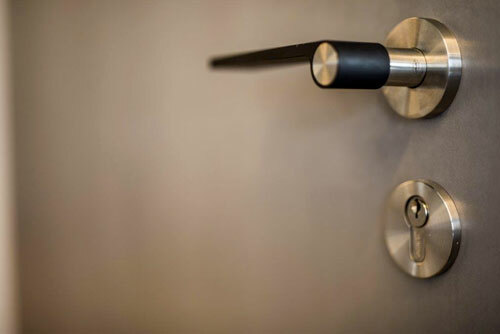 Detail of the stainless-steel and black rubber door hardware used throughout all the internal office doors setting off and complimenting the Aluminium Liquid metal finish to all the doors.